Hello and happy Monday! Great week and weekend. Last week, we finally made it out on a date night. We haven’t gone in months so it was really fun. We tried a new Spanish Restuarant and I think I ate everything on the tapas menu!! Oh and happy fall! 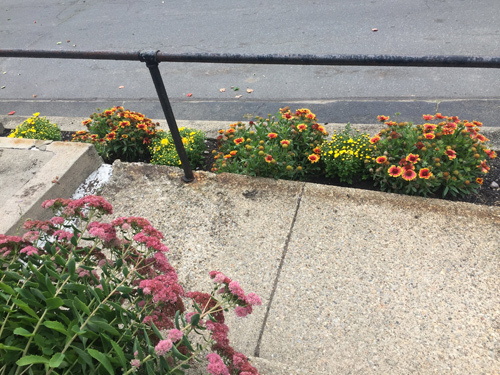 I love autumn and the fall flowers are a favorite so I drove to my favorite garden center on Friday and bought up a bunch of mums to plant around my garden. 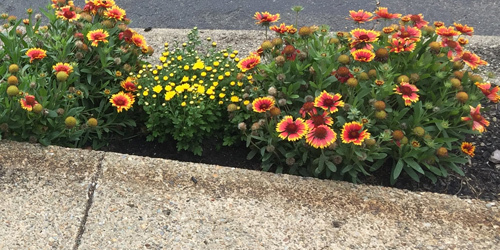 I planted yellow mums in the front between my Coreopsis. I thought the yellow was a better choice to make things pop. 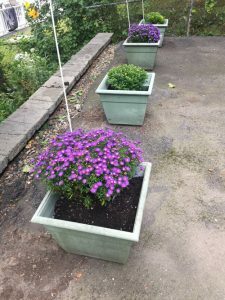 I planted alternating purple and yellow in pots at the end of my driveway. As they fully bloom they will be a welcome burst of color when we drive into our driveway. 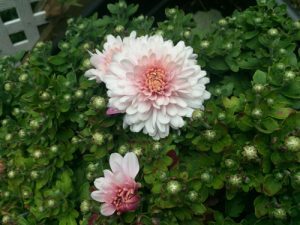 I planted this amazing pink mum. Yes, I can’t believe they are pink. They remind me of Dahlias or Zinnias. I planted them in pots near my veggie beds. I picked plants with plenty of buds that had not opened yet. Because I love to watch the color burst over time. 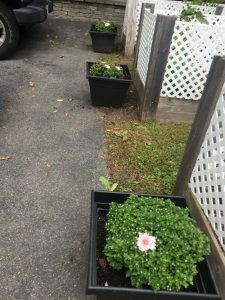 I also planted three new maroon flowers in my rear raised bed. I am not sure how well they will do. I think they get enough sun but in the past, they don’t do well on the sloped ground. They get lanky and lean too much for my taste. But maybe since I put them lower, they might thrive. These are the colors that make my heart melt. I love the deep color and can’t wait for them all to bloom. 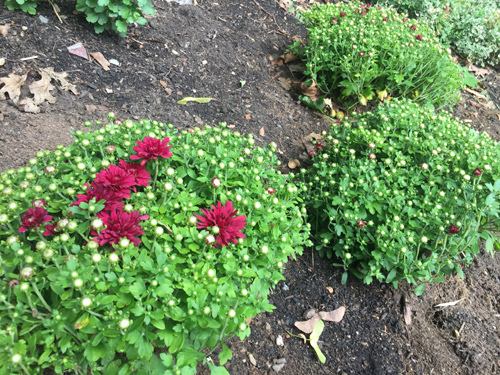 I like seeing mums in the fall. They really brighten up the landscape before winter approaches. I also took the time to buy some spring bulbs and planted them too. Because who doesn’t a few happy flowers in early spring?